Hard to believe…but holiday gift-giving is not too far off, and I was looking for a useful, quick-knit with a big “ooooh, aaaah” factor. Enter…my friend, Teresa, and her suggestion for the “Debaser” shawl that is found on Ravelry. It uses worsted weight yarn and comes together in a jiffy. I actually made two in one week! 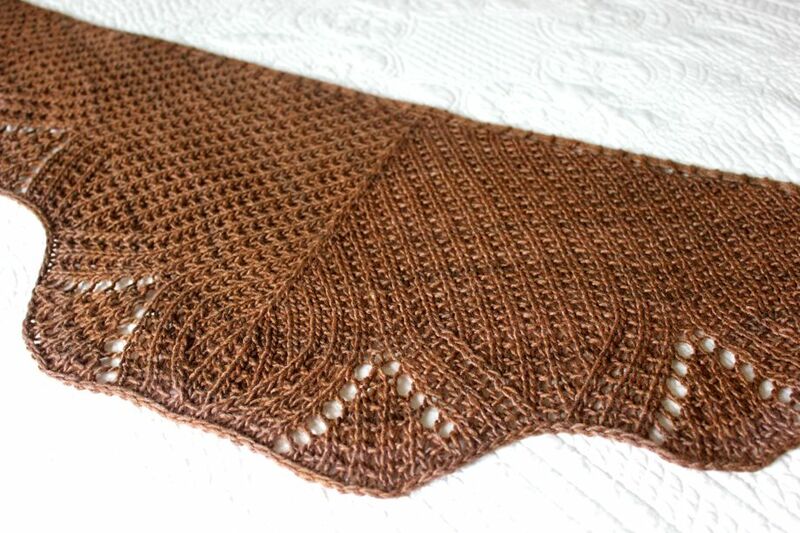 The finished, blocked, shawl measures approximately 37″ across and 14″ deep. It’s large enough to wrap around the top of the shoulders, but small enough to wrap around your neck and drape over the top of your coat. 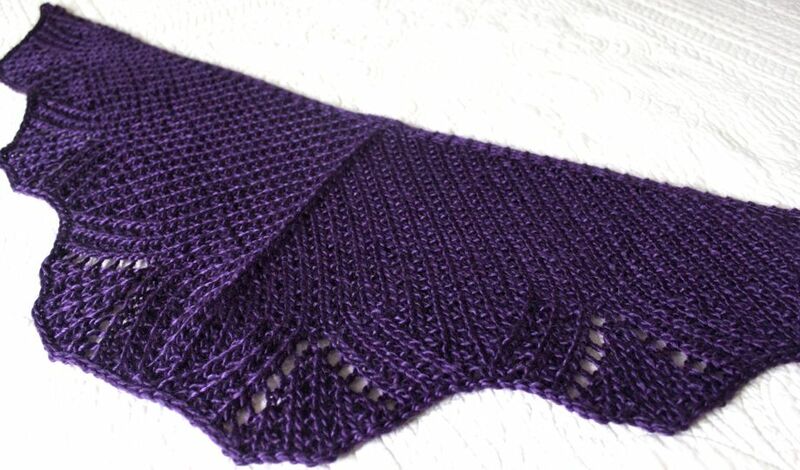 The purple yarn is Lustra by Berroco, and the brown shawl was knitted with Manos silk blend; both purchased at WEBS in Northampton, Mass. If you’re looking for a great holiday knitting project, head on over to Ravelry where you’ll find way too many great little shawl patterns to choose from, and many are free*! *Not this one…Debaser costs $5.26. Beautiful! What lucky — not to mention well-dressed — recipients at Christmas! Thanks to your good taste!